For college first-years who are very interested in working in the field of outdoor and adventure education, we offer a Mate-in-Training program that gives you the opportunity to gain skills and confidence as an instructor and educator. 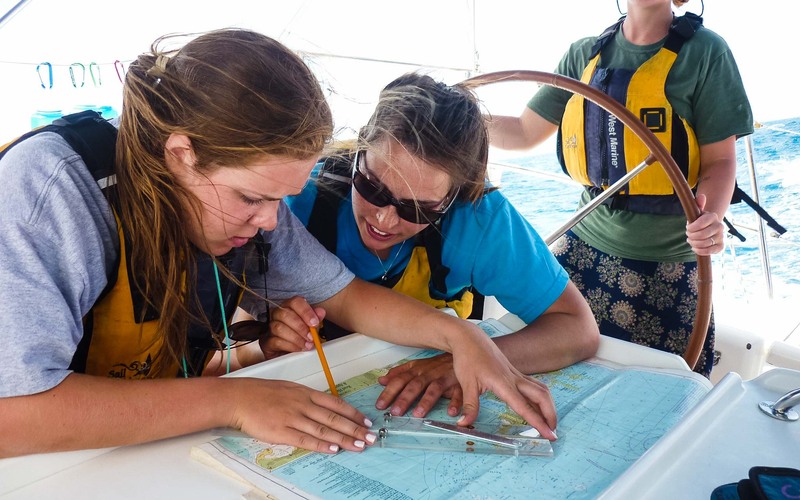 You’ll join our Echo College Sailing & Leadership Expedition as a student, where you’ll learn advanced seamanship and earn ASA sailing certifications. You’ll then continue on to our 12-day on-site staff training where you’ll be paired with a veteran staff mentor that will be your resource and buddy as you learn and grow as a sailor, educator, and leader. 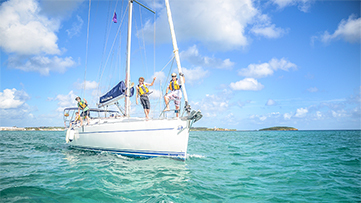 You’ll live on the staff boat during program and contribute to the day-to-day running of programs teaching basic sailing lessons, leading students on hikes and snorkels, and contributing to nightly boat meetings and discussions. Our staff will give you feedback and instruction every step of the way. There is excellent potential to return for future summers as a regular staff member. MITs who exhibit outstanding performance may even become a full mate with pay by the end of the first summer, depending on the needs of the program. This position is rigorous but very rewarding and requires dedication to the students, their safety, and the goals of the program. 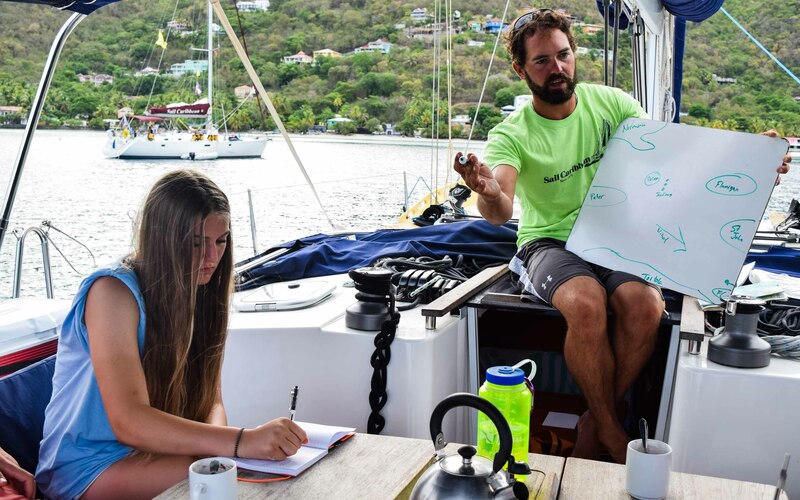 For college students with experience working with students aged 11-18 and a strong interest in working in the field of outdoor adventure education, we offer a Sailing Staff Internship. 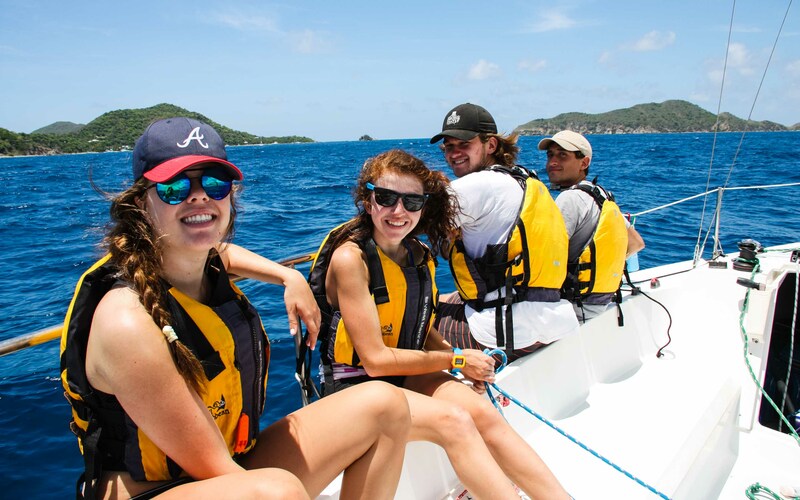 You’ll join our Echo College Sailing & Leadership Expedition as a student, where you’ll learn advanced seamanship and earn ASA sailing certifications. 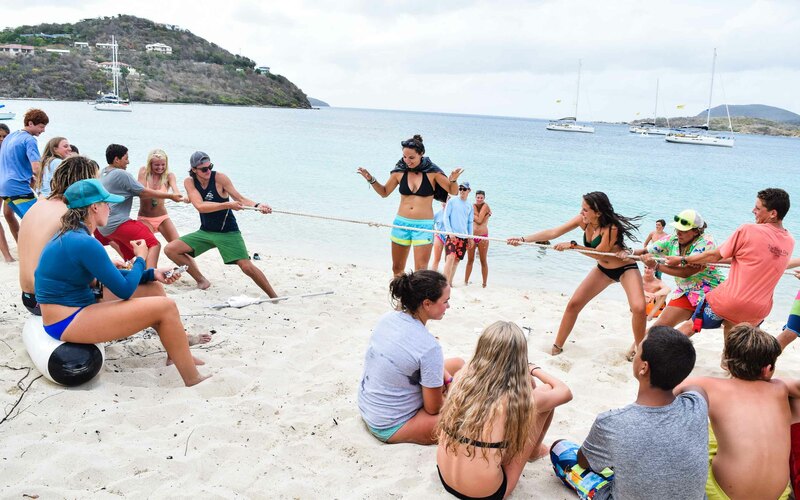 You’ll then continue on to our 12-day on-site staff training where you’ll join the rest of our new and veteran staff members to learn the ins and outs of creating and delivering Sail Caribbean adventure programs. 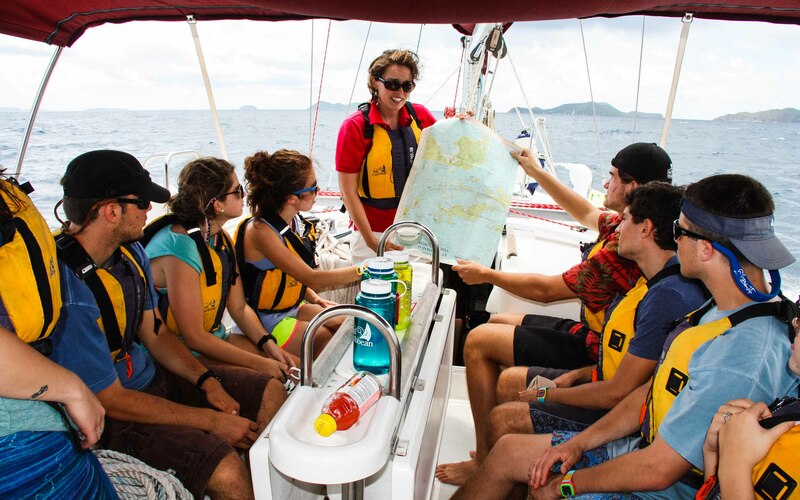 As part of our sail staff, you will fulfill the roles and responsibilities of a mate onboard one of our student boats. You and the captain you are paired with will work together to establish a community onboard the boat amongst the staff and students. 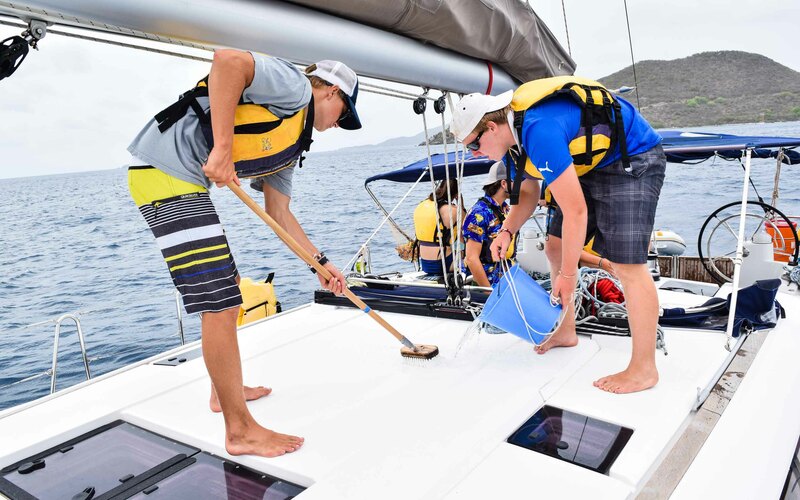 As part of our sail staff, your goal will be to get the students engaged and excited about sailing. 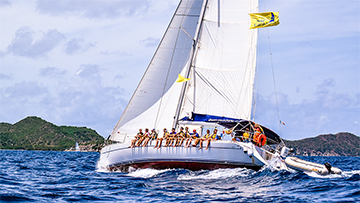 Along with providing students with a solid understanding of sailing maneuvers and a basic familiarity with their boat, the goal of our sailing curriculum is to motivate students to take initiative and take ownership in the running of the boat. Students will take turns as Captain, Navigator, Mate, etc., and your goal as a staff member will be to facilitate teamwork and support the students as they take on challenges both big and small. You will also be collaborating with the program staff as a whole to support one another and assure that the program runs smoothly and safely. Daily responsibilities will include assisting with meal preparation, teaching basic sailing lessons, leading a snorkel, or assisting with program logistical efforts like provisioning, boat fueling, or escorting students to and from the airport. Sailing Staff Interns have excellent potential to return as staff members the following summer and may even have opportunities for promotion within their first summer. It’s the ultimate team sport! Whether you're on the helm, trimming the jib, or on the rail helping to balance the boat, everyone’s efforts count. There are opportunities to build on your sailing and seamanship skills through American Sailing Association courses which include practice time on our 26' Colgate training boat, Opal Bella. Work your way up from Advanced Open Water to Rescue Diver with Specialty certifications along the way. If you're 18, you can even 'Go Pro' and become a PADI Divemaster. At Hodges Creek Marina, you’ll have a chance to get acquainted with our beautiful home base! Meet your Captain, mate, and everyone on your program. You’ll get fitted for snorkel gear and have your first boat meeting over delicious chicken, rice and slaw. You and the rest of the crew get ready to set the course for the rest of your adventures to come. You’ll learn everything you need to know prior to your first sail across the Sir Francis Drake Channel to Norman Island. Snorkel the caves and “The Indians”. 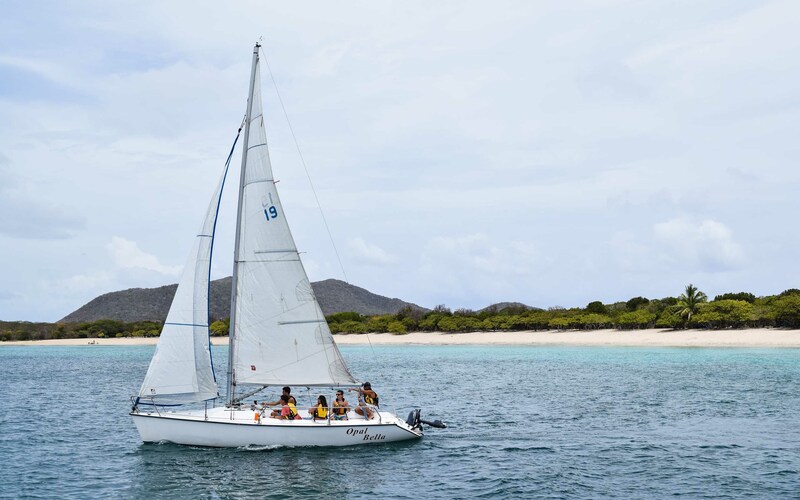 Plot a course to Cooper Island where you’ll begin comprehensive sailing and basic keelboat instruction. You’ve got points-of-sail and tacking under your belt already! By the end of the first week, your 50’ sloop will feel like home. You and your crew will debrief the day at boat meeting each night and give each other feedback on how the group worked together as a team and how those in leadership roles stepped up. Pick up a mooring ball at Bitter End Yacht Club and enjoy a day at the 5-star resort. 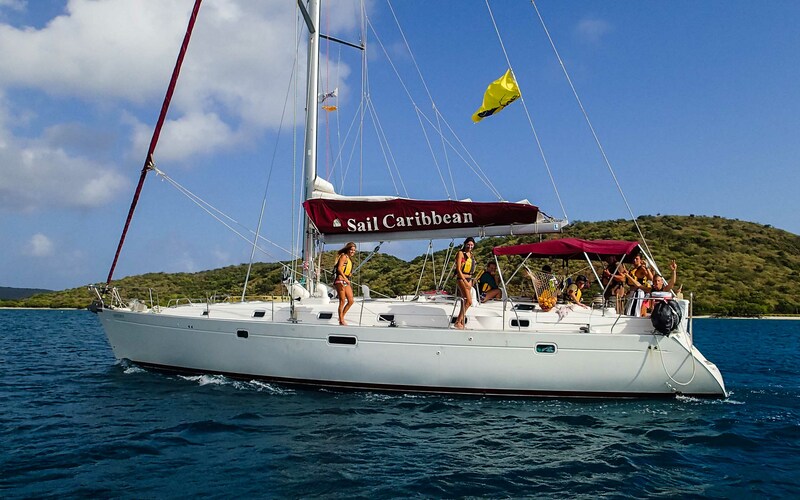 Your crew falls into a natural rhythm as you set out for tiny Marina Cay. 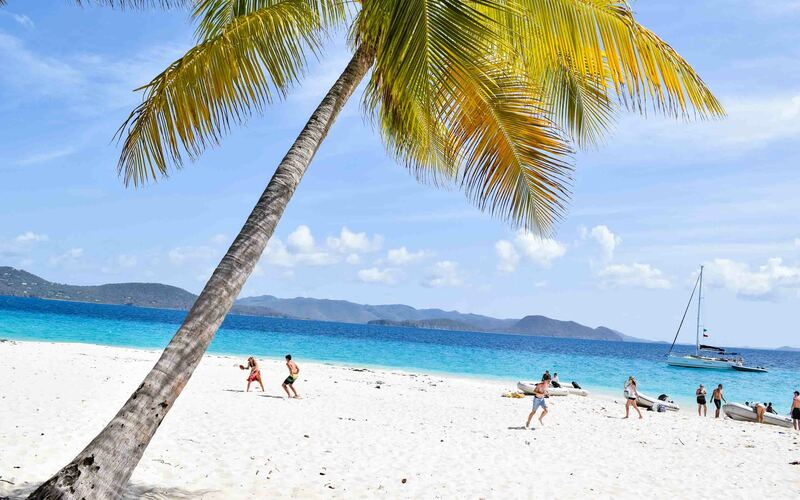 Go for a Hike to the Mangroves and Bubbly Pools at Jost Van Dyke. 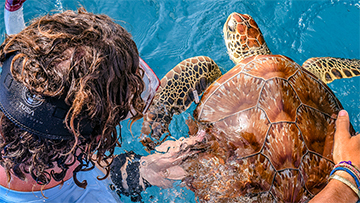 Once home to pirates, its lush seagrass bed now serve as a hangout for Caribbean green sea turtles that you’re sure to encounter when you go for a snorkel. As your adventure nears its end, it’ll be time to prepare for your ASA exams. Head to Monkey Point and find that you and your crewmates are in total control of your vessel. We’ll stop back at Cooper on the way to our base at Hodges Creek for your final Basic Keelboat lessons aboard Opal Bella. 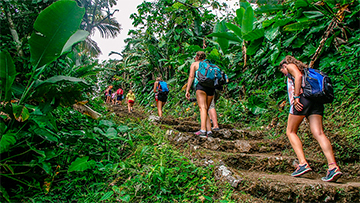 After the 14-day Echo Adventure, you will participate in 12 days of staff training, then begin your internship on one of our many teen student adventures. Demonstrated ability to skipper a sloop-rigged auxiliary powered (outboard or inboard engine) keelboat of approximately 25 to 35 feet length by day in moderate winds and sea conditions. 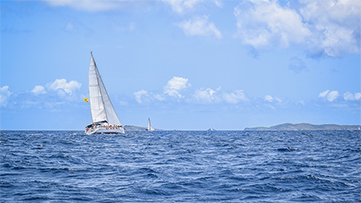 Knowledge of cruising sailboat terminology, basic boat systems, auxiliary engine operation, docking procedures, intermediate sail trim, navigation rules, basic coastal navigation, anchoring, weather forecast interpretation, safety and seamanship. View more details about ASA certifications here. Demonstrated ability to skipper a sloop-rigged, auxiliary powered keelboat (or catamaran, if course is conducted on such) of approximately 30 to 45 feet in length during a multi-day cruise upon inland or coastal waters in moderate to heavy winds (up to 30 knots) and sea conditions. Course is conducted as a live-aboard cruise of at least 48 hours. Knowledge of provisioning, galley operations, boat systems, auxiliary engine operation, routine maintenance procedures, advanced sail trim, coastal navigation including basic chart plotting and GPS operation, multiple-anchor mooring, docking, health & safety, emergency operations, weather interpretation, and dinghy/tender operation. View more details about ASA certifications here. How much sailing experience is needed? No experience is necessary, but you should be comfortable in and on the water, have a spirit of adventure, the ability to take on responsibility, and a desire to be challenged. Everyone is involved with lots of sailing instruction. What sailing certifications can I earn? 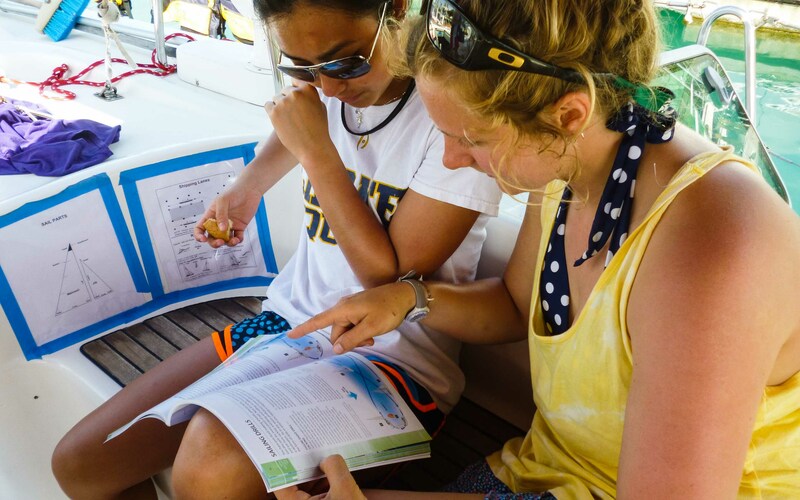 During the Echo 14-day adventure, you have the option to earn sailing certifications as part of our core curriculum. 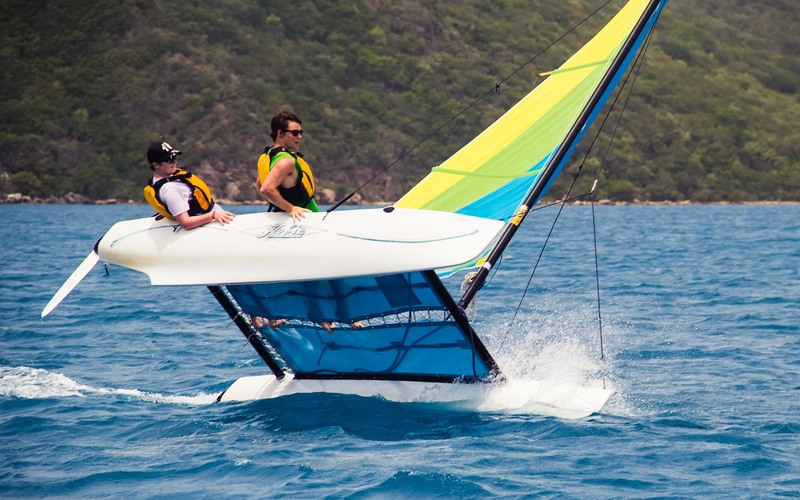 American Sailing Association’s (ASA) 101 Basic Keelboat Course and ASA 103 Basic Coastal Cruising are included in the tuition and are part of the curriculum. 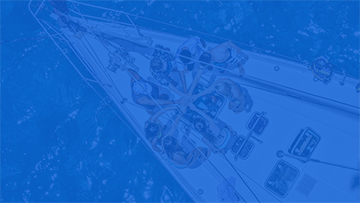 ASA 104 Bareboat Cruising certification is an option if you decide to challenge yourself even further. Who will my crewmates be during Echo? On Echo, most students come from all parts of the US and are first or second year college students.The boats have 8-10 students and are co-ed. 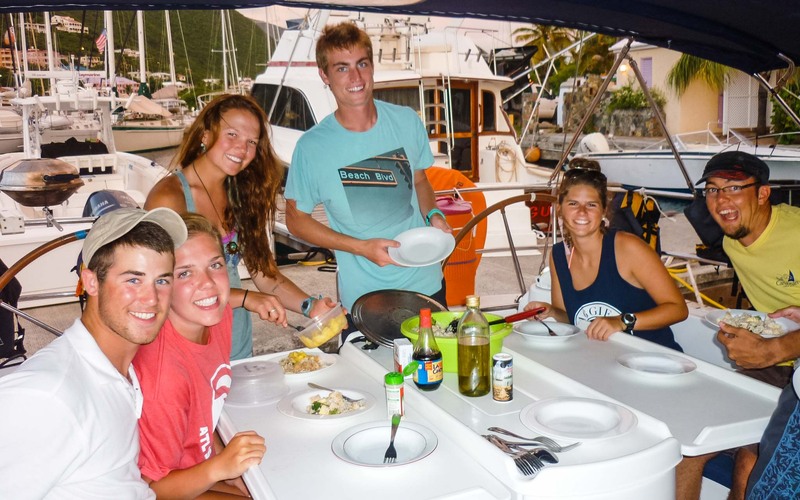 Each day offers leadership, sailing, and meals with your crew and then activities, electives, and socializing with the entire group. For non-certified scuba divers you’ll have the option to try scuba diving through PADI’s DSD (Discover Scuba Diving) course and experience the beautiful life in the underwater world. 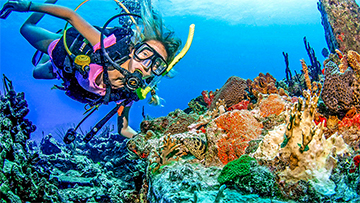 If you are already a certified diver, you’ll have the option of diving for fun by signing up for Recreational Diving. Where will I live during the internship portion of my stay? 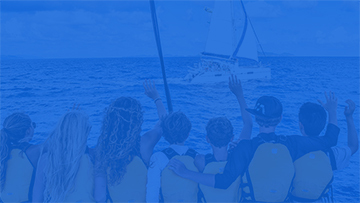 You will travel with one of the teen program fleets and live aboard either the staff boat or a student boat depending on your level of experience. Does the internship provide a stipend?